Nerf N-Strike Elite Retaliator 98696 - BRAND NEW!!! These Darts are specially designed to work with the new N-strike Elite which features "slam fire" for fast shooting and can shoot darts up to 75 feet with no modifications needed. When fired out, the bullet can make whistle sound, very interesting. 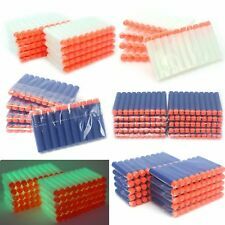 NEW Soft head 100pcs Toy Gun Bullet Darts Round Head Blasters For NERF N-Strike. 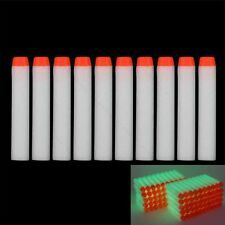 Soft Darts for Nerf N-strike Elite Rampage/Retaliator Series Blasters. These Elite Darts are specially designed to work with the new N-strike Elite Rampage and Retaliator guns, which features“slam fire” for fast shooting and can shoot darts up to 75-100 feet with no modifications needed. 1 x Nerf Tactical Vest Jacket. If you are not happy, I'm not happy! we will do our best to solve it. Anything can be resolved through communication. We are committed to resolve all issues in a friendly and satisfactory manner. These Darts are specially designed to work with the new N-strike Elite Rampage and Retaliator guns, which features“slam fire” for fast shooting and can shoot darts up to 75 feet with no modifications needed. 1 x Mini Crossbow(Single shot). 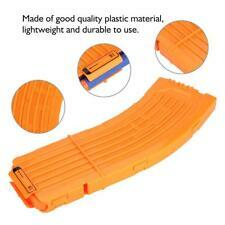 Suitable for Nerf series toy gun. This sight is made of good quality plastic, sturdy, lightweight and wearable. Easy to mount it on the toy gun. If you do not receive our reply within 48 hours, pls. 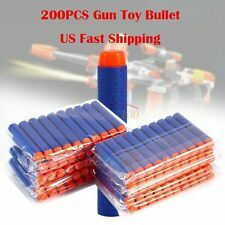 Golw Toy Gun Bullet Darts Round Head Blasters 100 pcs Kids For NERF N-Strike. Quantity: 100pcs. Our soft refill darts' heads are round and the bodies are hollow. Our soft darts are suitable for Nerf N-strike. We provide services on customize blaster with parts, 3D printing and paint works. The Distance Scope, feature 1.5X magnification and can be attached to a blaster via tactical rail. Under the scope built in a red light pointer that allow aim your target just in second. Worker mod for your DIY blaster. WORKER® MOD parts to follow the "excellence, excellence", For better gaming experience. This Worker MOD Bottom Rail Mount is best Modify parts for Children. First Choice DIY modifying MOD. 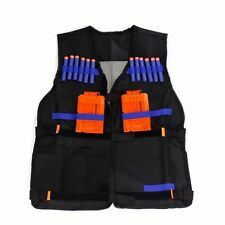 25PCS Kids Tactical Vest Kit for Nerf N-Strike Elite Series. to refill darts when you shooting.and the darts work with any N-Strike Elite blaster and most original N-Strike blasters. Blaster not included! Material: EVA. Excellent gifts for your kids. 6pcs x Target Toys. Color: as picture shows. Darts model：Nerf N-strike elite series blaster darts（As pitcure）. 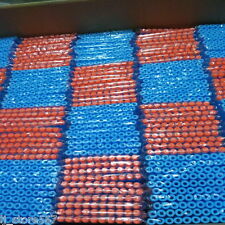 Loading Quantity ：22pcs darts. Color: Transparent. Net weight：135g. 1 Wrist band. Its flexible and can fit for most Wrist. Colt 1911 Toy Gun with Soft Bullets and Ejecting Magazine. Realistic shape and size: 1:1 size of a M1911 Colt 45. Fits any pistol holster made for the real thing. The perfect choice for training, Halloween or cosplay. Pop Pop Snappers. (250 total pcs ). The list is for 5 Boxes. Quantity: 100pcs. Our soft darts are suitable for Nerf N-strike. Our soft refill darts' heads are round and the bodies are hollow. 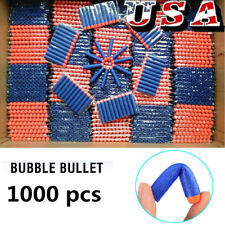 The density of this kind of bullet is lower, so it is a little. Suitable Gun Models: Strike Maverick, Half Fire. Play Fortnite in real life with this Nerf Elite blaster that features motorized dart blasting. Power up the motor with the acceleration button and pull the trigger to shoot 1 dart. Flip up the 2 sights on the top of the blaster to align your shot. Description: Refill Foam Darts for Nerf N-Strike Elite Mega Works with the Elite mega centurion blaster toy gun Material: Sponge silica gel Dimension: 9.5 x 1.8cm/3.66" x 0.70" Color: Red Quantity: 30pcs Package Included: 30pcs Refill Foam Darts Brand Unbranded MPN Does not apply Country/Region of Manufacture China UPC Does not apply. ACADEMY M92 Airsoft Pistol BB Gun 6mm / Spring, Hop Up System, ABS. and sales of an airsoft gun. or airsoft accessory. This item will be sold with a BLAZE ORANGE TIP as required by law. This list is not complete, it is a list of known cities and states that do not allow the import of airsoft guns. These Darts are specially designed to work with the new Elite fast shooting and can shoot darts up to 75 feet with no modifications needed. Note:Do not shoot bullets at other people, albeit soft bullets, the role of speed, but also have hurt force. Soft-tip darts and toys safely shoot foam missiles. These soft-tip toys and blasters are a favourite of kids and adults alike. With a variety of styles and designs available, there is an array of foam shooters to meet your needs. What are the different types of dart guns? Shotguns: These models fire in a burst pattern with two being shot at once. Rifles: These models are often larger with increased firing range as well as greater capacity in the loading magazine. Some are powered by motors and are heavier as a result. Pistols: A basic, revolver-styled unit that fires a single dart and requires only one hand to hold and operate it. Specialty Models: This includes such styles as bows with arrows and machine guns. Who manufactures blasters that shoot soft-tip darts? While Nerf is synonymous with foam dart guns, there is another toy manufacturer who now offers similar soft-tip dart guns. Mattel manufactures the BoomCo brand. While similar in use and purpose, BoomCo guns have shields and don't require batteries. The darts used by BoomCo models are different as well; instead of foam soft-tip darts, the BoomCo darts are a thin plastic shell with a stick tip that will stick to the shields on opposing BoomCo guns. Does Nerf make dart guns for girls? They offer a foam shooting toy line for girls, the Rebelle brand. Many of the Rebelle guns are similar in function to the standard offerings but look different, with the use of white, purple, and pink on the shooter guns, bows, and Super Soakers, as well as an image of a feathered wing. Of course, girls can play with the main line of guns, too. Can you buy replacement foam darts? 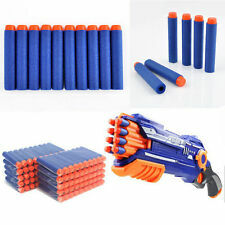 Replacement foam darts for your blaster or gun are a smart investment since the original foam darts can be lost or become damaged after use. Typically, replacement darts are sold in packs of anywhere from ten to one thousand. What kinds of accessories are there for soft-tip dart guns?